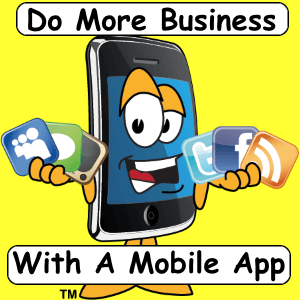 Need a mobile app plan? How to choose which plan is right for you. Learn about different platforms, operating systems and why you may need more than one app tutorial. 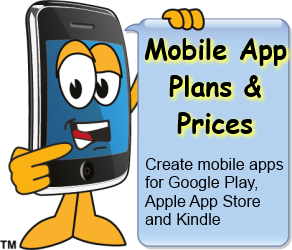 Wondering how to make a mobile app plan? Here is how to decide which app is right for you? This simple method - People/Platforms/Projects. helps you decide. Think about the people your app will reach, the platform your users are likely to be using and the platforms they will be using. 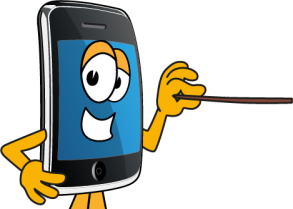 Do you need iOS, Android and Web apps for smartphone and tablet? There are five different plans to choose from, Basic, Enterprise, Plus, Premium and Business plans. You can select a starter plan and upgrade or downgrade later. Hint: for some apps you can use one app for both smartphones and tablets, as long as they are the same platform, i.e.smartphone and tablet. But you can't use one app for both iOS and Android. That is you can use one app for iPhone and iPad. But you need at least 2 apps for iOS and Android. Choosing a mobile app plan is easy. First: estimate your target audience. Then estimate which platforms your users will be using; smartphone, tablet computer or progressive web app. Then estimate how many users you want to connect with. First Step: what type of people do you want to use your app? Define your target audience. Before I go into that we need to assume a couple of things.You already know what your app is for. You are a business owner. You may want a 'Mobile Store' app. If you are a church you could use the 'Church' app. And so on. So let's assume you have an app in mind. Lets also assume you know what pages you want in your app, e.g. index, about me, share, contact, shopping cart, gallery, etc. You can customize your app to include many different pagetypes. Build a store, make a library, connect with customers and more. We have over 100 pre-made pagetypes to choose from. All with built in navigation and native app functionailty included. Now lets look at your target audience. Will your app be used on a computer, smartphone and/or tablet. With a computer you will want a web app version. If you are a restaurant/bar or church group your users will likely use your app on only a smartphone. In this instance you would want Android and the iPhone app (Enterprise 2 app plan). Suppose your business has lots of sales people that do presentations on company tablets. In this case you would want just one version of your app. iPad tablet for example. In this case I recommend the Basic App plan (1 App). If you expect a large varied number of people you will want to target all the platforms (5 apps). Including Google Android (spartphone and tablet) Apple iPad and iPhone, Kindle tablets and a progressiveweb app. In this case I recommend the 'Premium' plan (5 apps). This covers all the different platforms and operating systems. Second choose a starter platform to work on. There are currently 5 major platforms available. They are Google Android (same platform for smartphones and tablets), Apple has 2 platforms one for iPad and one for iPhone, Amazon Kindle tablets and a web app for computers. Choosing all the platforms is considered a large project. For this scenario we recommend the 'Premium' app plan (5 App/Platforms). Some iOS apps can be made universal. Which means they work on iPad and iPhone. Doing this though adds a lot of data to the app. Which at some point may limit the size the app can be. That is without having to upgrade to more costly bandwidth. Each platform requires individual apps for each one. That means you want to create 5 separate apps to cover all the platforms. You should be aware that not every application is cross-platform. Meaning you can't just expect that everything in one platform will automatically work in the next platform. Some native functions are only available is iOS or Android, but not both. With MaM you can build your own app in one platform and then duplicate it across to other platforms with a few simple clicks. This means you should select the platform you want to work and the other platforms you want to propagate to later. Hint: iOS apps are a bit more complicated that the other platforms. We recommend starting with an iPhone app as the first app to work on. That way duplicating it will carry the least amount of work in other platforms. 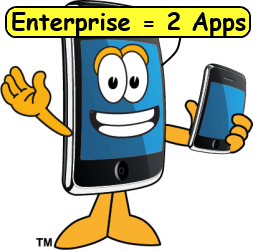 The Enterprise Plan ( apps) is the best solution to cover both iOS and Android apps. You can setup a 'universal' iOS app for iPhone and iPad. And setup the second app for Android smartphone and tablet. Univeral iOS apps are more complicated than separate iPad and iPhone apps but are much larger file size wise and use up more bandwidth. If you are looking for separate apps for smartphones and tablets you should choose the Premium Plan for 5 apps. With this program you can create an app for each platform, i.e. iPhone iPad, Android tablet, Android smartphone and a web app for desktops. Plus Plan for 3 apps can be used for 3 app platforms. You could use one for iOS, one for Android and one for a web app or computer app. Most apps can be used for smartphone and tablet. 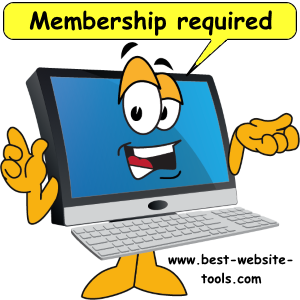 Why we charge a $100 one time setup fee: It is a lot of work to set up your account! And, It ensures you get priority support. This one time fee gets your account setup and adds you to our customer support program. This is important because all special requests are now available. Without the setup you have no way to publish any app. You will need an app previewer to test your app. For this you must login to your account. This ensures that only you and your people can preview your app. This security measure helps prevent theft and supports your intelectual property rights. The app previewer downloads to your mobile device whereby you can test all the native function inherent to your device. Third consider how many projects are you planning on doing. Think of it this way, 1 app (platform) equals 1 project. 2 apps equal two projects. Each project can include one or more device platforms depending on your plan subscription. So one project equals 1 app published to one of the App Stores. Let's say your app can be developed into a template that you can re-use to create other apps with. In this case we recommend the 'Business' mobile app plan. With this plan you can become an app developer and sell apps in all the App Stores. 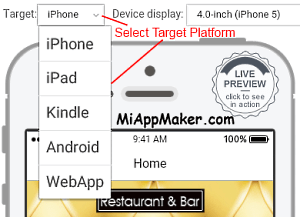 The company Best Website Tools owner of Miappmaker mobile app maker stands to gain financially if you decide to purchase from us. Number of Apps - from 1 to 5 to unlimited apps depending on the plan. Number of Updates per month - 1 update per month per app depending on the plan. Unlimited updates for 'Business plan' Includes changes or addition of pagetypes and submission to app stores. Does not include creation of custom pagetypes. In App Purchases setup, market and sell your knowledge or products in the app stores. Note IAP's can only be added to an existing app after it has been approved. We help you with this process as part of our customer support program. 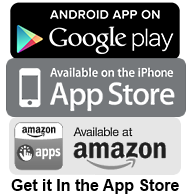 Publisher Account - we help you set up your publisher accounts in the App Stores. This process is necessary and costs a separate fee. Apple charges about $100/yr. While Google charges a one time $25 fee to join. We do this process with you so you understand how to publish your own app. Push Notifications - unlimited PN's include text, images and links in short messages to your customers smartphone or tablet. Ideal for alerting your users of upcoming events, daily menus, special occassions, and news and tips. PNs are included for all mobile apps. This feature makes a mobile app do what an app is supposed to, keep users engaged. Customer support is included with each mobile app plan. We offer several hundred or so tutorials in our library. We help you every step of the process from concept to design and build to publishing in the app stores. Our support team is world class and very professional. Mobile App Builder - tutorial teaches you how to begin making your own mobile app. Mobile App Editor - tutorial teaches you how to use the editor to configure and modiy your app. Mobile App Graphics - tutorial teaches you how to create icons for the App Stores. Mobile App Previewer - tutorial teaches you how to use the previewers to test your mobile app. 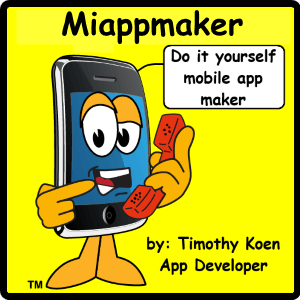 Mobile App Publisher - tutorial teaches you how to use MiAppMakers publishing tools.